May 16 was the night of the third annual Honest John Awards – and the winners have been announced. Our awards are different – the shortlists and winners aren’t picked out by a panel of judges – we leave that down to you – based on the cars that you’ve been most interested in. We counted all of the website visits to each of the cars in our Car by Car section to come up with the shortlists – and the winners. The car in each category that had its review page viewed by the most honestjohn.co.uk users was the winner. Click through the gallery to see the winner in each of the categories. Shortlists are in alphabetical order. This award is given to the car that gets the most interest from visitors to honestjohn.co.uk, based on the number of page views in the Car by Car section. It's the car that's head-and-shoulders above the rest when it comes it comes to interest from you: our readers. 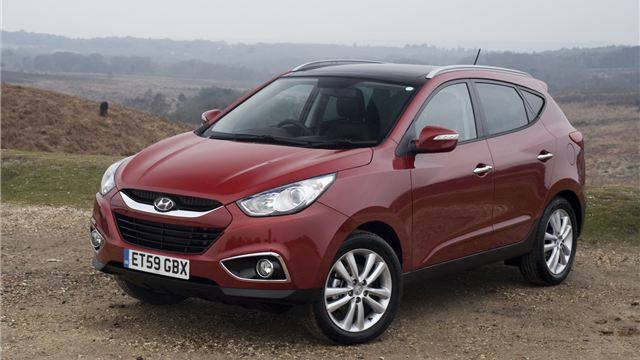 This year the award went to the Hyundai ix35 crossover. It’s no surprise, really, because it offers excellent value for money and is plush, luxurious, comfortable and well equipped.